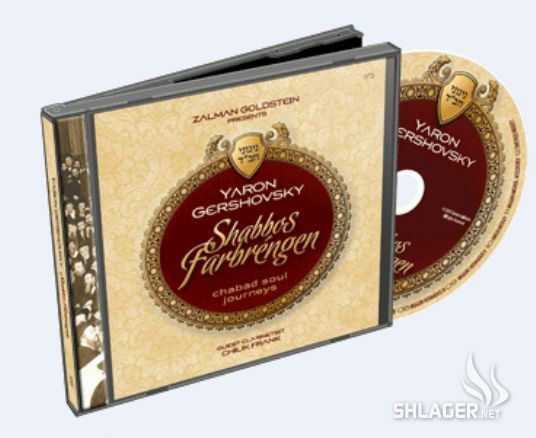 Chassidic music veterans Yaron Gershovsky and Zalman Goldstein are at it again. After bringing you TOTALLY CHASSIDIC and A NIGGUN IS FOREVER they present some of Chabads finest melodies in a performance that is second to none. In a departure from the solo piano performance of the previously mentioned albums, this title includes piano, cello, clarinet, string sections, brass and horns, bringing the gems to sparkling life! Notice Chilik Frank is in on this – he’s a real authentic musician; practically a virtuoso. His clarinet style is mostly classic klezmer. He has a few solo albums out there. As for what we can see here, besides for the beautiful clips and excellent niggun selection, this looks like it will be, in fact, a really nice album.